Factcheck: Are BP & Shell's visions of our energy future supported by evidence? - Unearthed Factcheck: Are BP & Shell's visions of our energy future supported by evidence? Factcheck: Are BP & Shell’s visions of our energy future supported by evidence? Shell and BP, two of the world’s biggest companies, are basing their energy forecasts on extreme assumptions about renewables, energy demand and carbon capture and storage (CCS) according to an analysis by Unearthed. The basic scene that Shell and BP describes in their projections sees energy demand is burgeoning over the next 45 years – mainly met by fossil fuels. Renewables are pretty much a pipe dream while CCS has huge uptake in the second half of the century/post 2040 – keeping a vibrant market in oil and gas going. Shell and BP’s energy projections also show a world that has higher global warming than will happen even under the current commitments given towards the Paris climate change talks (See the first installment in this series). Shell did not respond to Unearthed’s request for comment on the assumptions behind its energy and climate scenarios. BP, meanwhile, told Unearthed that their Energy Outlook projections were based on its assumptions of what was “most likely”, including its assumptions on renewables, CCS and fossil fuel demand and carbon intensity. Let’s take a closer look at the basis for the oil and gas giants’ energy outlooks. Will energy demand be that high? There is a link, of course, between how much energy we need over the next few decades and our carbon emissions – because much of that energy may come from fossil fuels. Shell attempted to mollify its investors’ climate concerns by showing them this graph which compared its scenarios for energy use with those from the reputable International Energy Agency (IEA). The idea of the graph was to show that its “Oceans scenario” has less fossil fuels as a proportion of the energy mix than the IEA’s 4 degree scenario/current policies projections, while Mountains falls between the two scenarios in 2035, according to the oil major. In short the message is our scenarios are very much in the middle ground of what is likely (while being more energy intensive than a climate-friendly 2 degrees model of course). But it’s not just about fossil fuels share. Shell appears to assume the world will need a lot more energy, so a medium sized share of a very large pie, plus not all fossil fuels are equally carbon intensive. 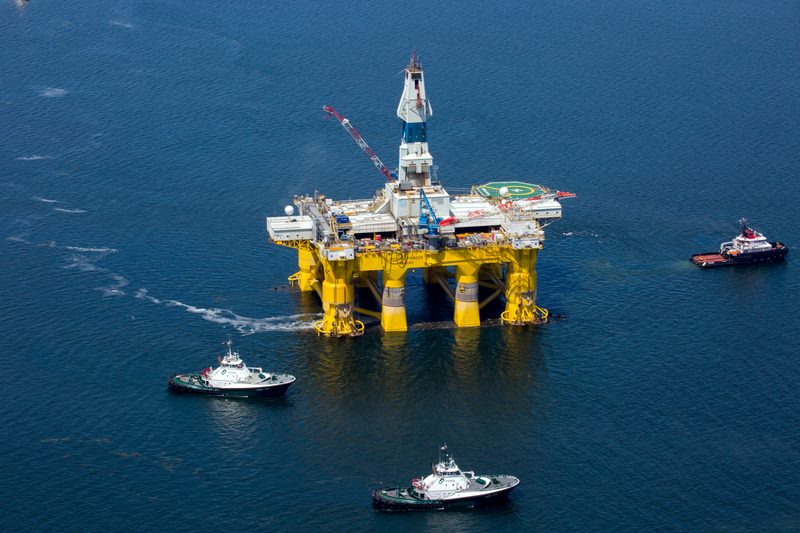 Factcheck: Are Shell & BP serious about climate action? In a recent comms briefing for its creative video aimed at millennials, the oil giant claims the world will “probably need around 80% more energy by 2050” – even if the world acts on climate change. But that level of demand implies far higher emissions than seems plausible. The IEA notes several countries have already made their INDC (Intended Nationally Determined Contributions) pledges of emissions reductions ahead of the Paris climate talks later this year. In the IEA’s recent climate report, it looked at a scenario based on the commitments made but it didn’t include China’s highly important pledge because it wasn’t out yet. Shell’s two energy scenarios look like they have roughly about double the growth in energy demand than the IEA’s INDC scenario between 2010 and 2030 – around 40-45% compared to (very approximately, as the figures were read off graph) around 23%. And if action is taken to actually stay within within the internationally-agreed two degrees threshold rather than around 2.6 or 3 degrees, energy demand be even lower. Shell forecasts a sizeable growth in demand around 55-60% between 2010 and 2040 – but the IEAs two degree scenario sees an increase of only 17% to 2040 (but with 2012 as the baseline). Shell’s presumptions about energy demand are not middle of the road at all but may actually assume that even existing policy commitments to tackle climate change don’t happen. In turn, this makes their predictions on quantities of fossil fuels we’ll need in the future – including the most intensely polluting ones – look shaky at best. The IEA’s recent climate report highlighted 2014 as the first year it had seen the decoupling of CO2 emissions and economic growth – with both the IEA and Bloomberg New Energy Finance (BNEF) predicting this carbon intensity reduction trend will continue into the future. In contrast, Shell sees the demand for coal (the most CO2-intensive fuel) growing robustly towards the middle of the century as part of total primary energy. This seems like a pretty carbon-intensive scenario compared to the IEA’s four degree forecast, which has significant coal-to-gas switching, though it’s difficult to directly compare with the IEA’s source data. The fact that Shell’s scenarios result in such high carbon emissions in 2030 – in line with the IEA’s 4-degrees scenario by the middle of the century – is also an indicator that they are very high carbon. They do have a model with lower emissions – but that assumes a global deployment of CCS most regard as implausible at best. BP, meanwhile, has fossil fuels meeting two-thirds of the increase in energy demand to 2035 – driven by China and India, population increases and economic growth – but it doesn’t say how much the increase will be. Renewables trends: oil majors too pessimistic? If the amount of energy from fossil fuels and demand for energy are overestimated by the oil giants, renewables growth forecasts could be woefully underestimated. In the past fossil fuel companies such as BP have significantly underestimated the growth of renewables (as has the IEA). Shell, which succeeded in lobbying against a binding EU renewables target, maintains switching from fossil fuels to renewables “is not going to happen any time soon”, despite its predicted boom in rooftop solar. Similarly, at the BP stats launch, the firm was circumspect about renewables, saying solar was growing at breakneck speed but the firm don’t expect to see a huge increase in the proportion of renewables in the global energy mix. The oil majors’ reticence about uptake of renewable technologies echoes their energy scenario modeling. The proportion of energy in BP’s and Shell’s energy mixes that comes from renewables is less than the IEA’s conservative 4 degree scenario (NPS), shown in the graph below. (Though in higher demand scenarios, this could mean more actual renewables-generated energy). And the gap grows when you compare Shell’s vision to forecasts intended to limit global warming including the IEA’s the 2 degrees and bridge scenario. If we ramp up investment and policies to tackle climate change the IEA’s 2014 modeling has renewables down to contribute over half of the electricity [note, not energy] mix in 2040 (see below). A new BNEF report flagging an explosion of solar PV in the decades to come used even more bullish solar technology costs predictions than the IEA [and certainly energy companies – ed], and they also accounted for rooftop solar. Shell and BP’s projections get even more problematic when we look at their plan for vast amounts of emissions from fossil fuels to be captured and permanently buried underground. Both the IEA’s most climate-friendly scenarios and the oil giants’ scenarios rely on a lot of CCS to decarbonise energy. In the IEA’s 450 scenario there is a “massive expansion” of CCS between 2030 and 2040 – this would mean 740GW of capacity with CCS fitted in 2040 (see below chart). And in Shell’s scenarios, they see CCS blossoming and reach over 30% capture of CO2 emissions from energy by 2050, and 70% by around 2075. It’s difficult to compare the figures, but a back-of-envelope calculation by our Dr Doug Parr, has Shell’s scenario fitting CCS on almost double the amount of coal plants in the mid 2040s compared to the IEA’s most recent 2 degrees projections for CCS on coal plants for 2040 (which the think-tank itself admits is ambitious). This is a lot, and means many years of fossil fuel installations. It also indicates Shell has very ambitious ideas of what can be achieved with CCS, though they aren’t investing much in the technology themselves. BP is more sceptical about the technology on the whole, only predicting 0.7% of coal fired power to be fitted with by 2035, but then they also predict higher emissions. CCS has been growing, with 22 projects of some description now in operation or under construction globally. But the tiptoeing rate of the growth of the industry is not enough to achieve a 2 degrees pathway, says the IEA. So a lot depends on CCS happening if we want to avoid catastrophic climate change; Either that, or we redouble our efforts to to build renewables.